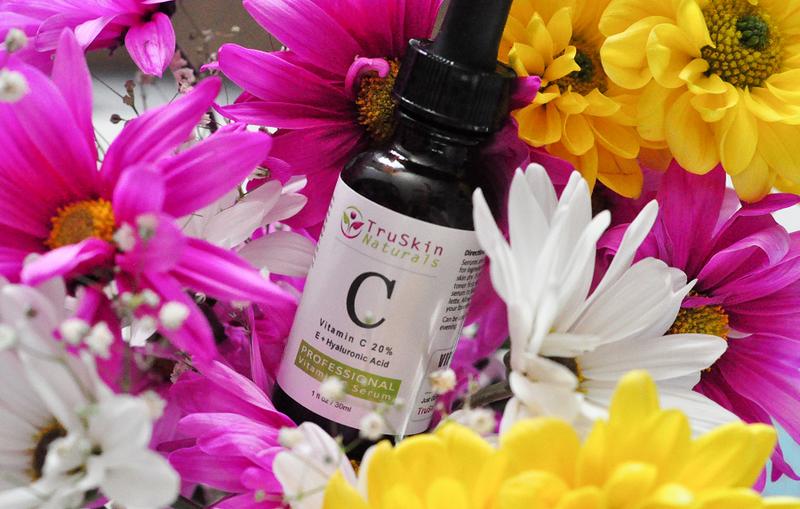 Vitamin C is a powerful antioxidant that can clear up an acne breakout and fade away acne scars. Vitamin C gently exfoliates dry skin, calms down inflammation, and speeds up healing. Although you can get a small dose of Vitamin C by simply massaging lemon juice into your face, serums are much more concentrated and will give you faster results. Although product labels sometimes list it as simply “Vitamin C,” this all-important ingredient goes by many other names like Vitamin C ester, ascorbic acid, L-ascorbic acid, sodium ascorbyl phosphate, ascorbyl palmitate, retinyl ascorbate, tetrahexyldecyl ascorbate, and magnesium ascorbyl phosphate. Those are all compounds with Vitamin C as their base. And just so you know, the highest concentration you can usually buy is 20%. How to use a Vitamin C serum? Some products may have different instructions, but typically they recommend using a gentle cleanser and lukewarm water, patting your skin dry, applying toner, then applying serum. Massage a few drops into your skin, then apply a moisturizer. Don’t forget sunscreen if you plan to be outdoors. Vitamin C oxidizes easily, and that means your serum will stop working like it should. Keep the container sealed tightly. Store it in a closed cupboard, or, even better, the refrigerator so it will stay potent for as long as possible. Here are our top choices to fight signs of aging, even out skin tone, and rejuvenate your face. Alina Skin Care’s Vitamin C Serum is delighting customers with sensitive skin. They say it’s non-irritating and non-greasy and their faces feel radiant and soft after using it. Alina Skin Care says their formula is based on Vitamin C Ester, a pure and stable form that is especially good at encouraging collagen production. The serum also contains the humectant hyaluronic acid that hydrates skin, plus aloe vera to heal and calm. Finally, it has antioxidants from green and white tea extracts. The manufacturer says that 94% of users during a clinical study agreed that their skin tone improved with just one month. Over 80% said they noticed that their fine lines had diminished. They liked the silky smooth texture of the serum as well as its scent (which is from orange extracts, not chemicals). There are no parabens, phthalates, and no sulfates in this serum. Foxbrim’s Advanced Formula Vitamin C Facial Serum uses a 20% solution of Vitamin C plus hyaluronic acid, aloe vera, an amino complex, witch hazel, and jojoba oil to make sunspots disappear and even out skin tone. The serum is vegan and cruelty-free. They recommend applying it day and night for best results. Don’t forget to moisturize, too. The Made in Utah Vitamin C Serum is formulated with organic ingredients to hydrate skin and turn back the clock on signs of aging. If you want to remove wrinkles and make dark spots disappear, this is a product packed with powerhouses like aloe, hyaluronic acid, MSM, witch hazel, kosher vegetable glycerin, jojoba oil, Vitamin E, and gotu kola. Lumene’s Bright Now Vitamin C Dry Skin Cocktail harnesses the power of Arctic Cloudberry to protect and enrich skin. This amazing fruit has more Vitamin C than an orange does. Its seed oil helps erase fine lines and soften skin while it fades discolorations. Lumene’s formula has no parabens, synthetic dyes, formaldehyde, or mineral oil to irritate sensitive skin. When you’re shopping for Vitamin C serums, the gold standard is a 20% concentration. That’s what the Porcelain formula contains. It also has hyaluronic acid to hydrate skin, anti-aging peptides Matrixyl 3000 and Argireline, plus Alpha Lipoic Acid, a powerful antioxidant. Porcelain says if you’re not satisfied within 45 days, they offer a 100% money-back guarantee. Pure Body Naturals’ Vitamin C serum contains a 20% concentration plus vegan hyaluronic acid, MSM, Vitamin E, Vitamin A, ferulic acid, witch hazel, and glycerin. Its purpose is to help your skin hydrate and create new collagen. In turn, wrinkles and fine lines will fade, as will skin discolorations from sun damage. PURVÉDA’s Vitamin C Serum is backed by their money-back guarantee. Their formula is free of parabens and sulfates and gentle for all skin types. It's also 100% vegan. It contains aloe, MSM, hyaluronic acid, witch hazel, Vitamin E, ferulic acid, kosher vegetable glycerin, and jojoba oil. La Roche-Posay’s Active C10 Anti-Wrinkle Concentrate has healing thermal spring water as its base. Users say it has a velvety texture but isn’t greasy at all. It’s formulated especially for sensitive skin and is made by a brand often recommended by dermatologists. Anthony’s cosmetics are made for men, but there’s nothing against women using them, too. Their High Performance Serum contains stabilized Vitamin C, licorice to even out skin tone, polypetides to smooth texture, and cucumber extract to calm skin. We hope we helped you discover the best Vitamin C serum that will help you achieve skin that glows with good health. Come back soon to see new reviews of top skin care and beauty products.